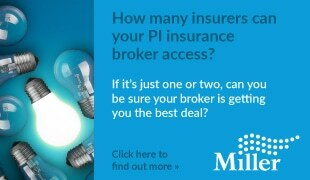 Major vendor collaboration looks set to assist law firms with enhanced client satisfaction at the same time as enhancing profitability, agility and working capital. Winscribe, the leading global providers of digital dictation systems and workflow processes have teamed up with Document Direct, the only outsourced typing and transcription service endorsed by the Law Society of England & Wales, in order to offer a fully integrated dictation and typing service within the legal sector. In recent years firms have been embracing digital dictation as a means of better delivering their dictation and opinions amongst their internal secretarial staff, and the advent of digital dictation from the old tape regime has been a large boost to productivity. Systems such as Winscribe, BigHand, Philips and Olympus have helped transform the area of dictation. 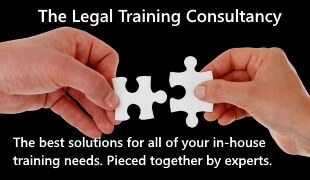 The latest evolution has seen the recognition that law firms do not need to retain the long standing, traditional model of employing a large and quite expensive resource of typing and secretarial staff, and we can note the recent changes and announcements by many firms transforming how they operate due to a combination of lower cost areas and technology. The outsourcing of typing is one of these steps and Document Direct have been amongst the leading service providers here, and their enhanced partnership with Winscribe will now help law firms maximise the significant cost savings available in this area. The collaboration with Winscribe offers law firms a more integrated service in that key management information and workflows can be utilised to enable each law firm to truly maximise the benefits of their technologies. An initial Winscribe and Document Direct consultancy service will highlight areas where cost savings can be made, and then ensure they are delivered in a safe, secure, and compliant environment. The resulting benefits of significant costs savings and major improvements in turnaround times are then very quickly delivered. Winscribe and Document Direct have independently worked very closely with many law firms to identify ways of improving resource utilisation and workflow, i.e. increasing the number of chargeable fee earner hours and decreasing the number of hours spent on tasks that do not translate to chargeable hours. Now, through their new joint partnership they can help firms embrace better working practices whilst reducing the cost of service delivery, and offer a fully integrated, low cost service in the field of digital dictation, workflow and typing and transcription. 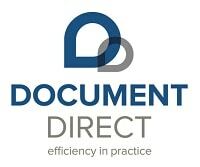 Martyn Best, Document Direct’s CEO comments: “This is a truly exciting development for all law firms. By engaging with us and Winscribe they can make immediate gains in profitability and client satisfaction, as well as improving the whole experience for their own fee earners and staff. “Winscribe’s leading edge digital voice technologies and workflows are now combined with our extensive and experienced typing and document production expertise to help law firms become better law firms. Vladimir Teodosiev, Head of UK Legal and Professional Sales at Winscribe says: “Our newly formed partnership is yet another example of our collaborative approach formed in the name of promoting efficiency gains. These gains that ultimately result in healthier PPE are manifested through document production optimisation achieved through the deployment of the latest technology and vast legal and secretarial experience”.